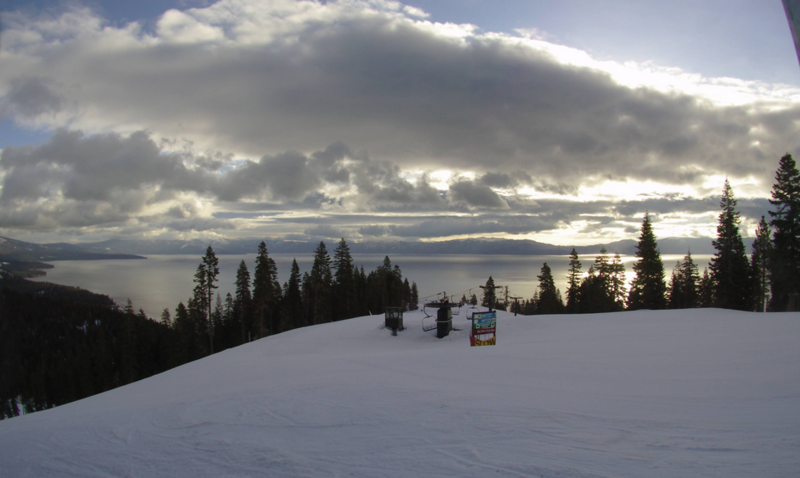 The view from Edgewood Tahoe just before 7 a.m. Monday, Feb. 12. 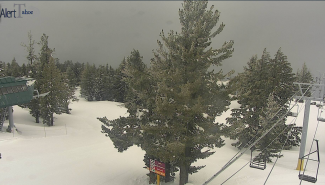 After a lengthy dry spell that has spanned the month of February, the Lake Tahoe Basin could finally see some new snow Monday. 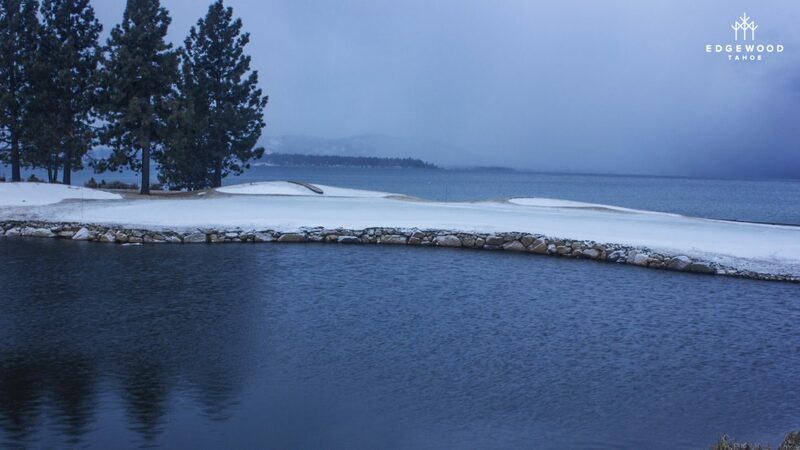 Snow is likely before 10 a.m., according to the National Weather Service in Reno. Scattered showers are possible between 10 a.m. and 4 p.m. 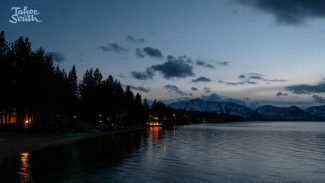 In South Lake Tahoe, there is an 80-percent chance of precipitation. Daytime accumulation of an inch is possible. The chance of precipitation will drop to 20 percent heading into Monday evening, with isolated snow showers possible before 10 p.m. There is a slight chance of precipitation Wednesday, Feb. 14, but the remainder of the week is expected to bring sunny conditions. 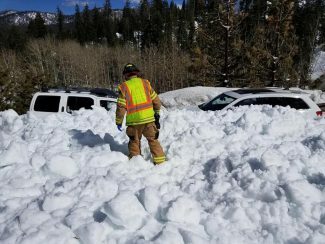 The Tahoe Basin has been largely snow free since late January, when storms brought more than an inch of new snow. Temperatures started warming following those storms, bringing conditions more reminiscent of spring than winter. 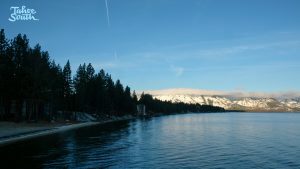 South Lake Tahoe set a new record for the high temperature on Jan. 30.